The UPC has awarded an honorary doctoral degree to the American computer scientist. 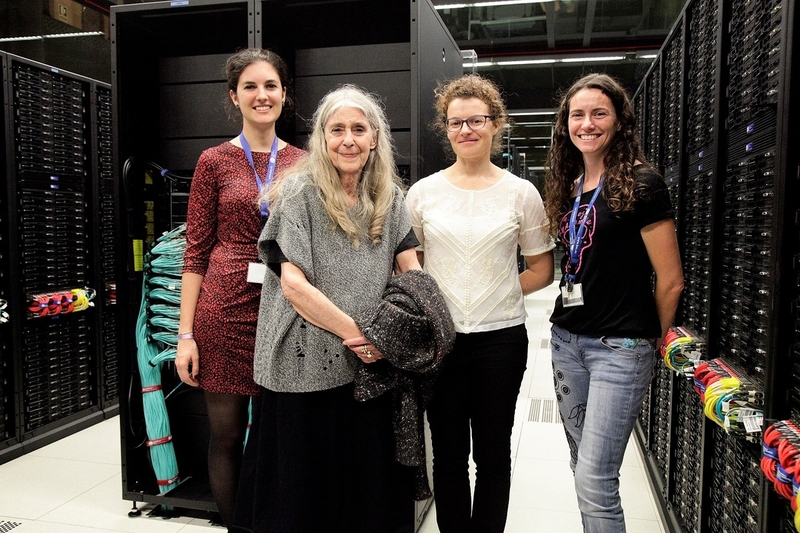 The American computer scientist visited on 19 October the MareNostrum supercomputer and could know more details about the research the Barcelona Supercomputing Center is developing. Margaret Hamilton is a mathematician and engineer, who coined the term ‘software engineering’ 50 years ago, during the NASA’s first Apollo missions. She was awarded, on Thursday 18 October, an honorary doctoral degree by UPC. Margaret Hamilton (Indiana, United States) was the director of the Software Engineering Division of the Instrumentation Laboratory at the Massachusetts Institute of Technology (MIT) in the United States, where she led the development of on-board flight software for the Apollo Space Program. Thanks to the principles of design that she applied, the problems in the flight computer that the astronauts of the Apollo 11 mission encountered at the time of the landing were solved and allowed humankind to reach the Moon. Hamilton was also a founder and executive director at Hamilton Technologies, Inc. (1986) in Cambridge, the company that developed the Universal Systems Language and the mathematical theory on which it is based—development before the fact (DBTF)—for software design systems. On 22 November 2016, Hamilton received the Presidential Medal of Freedom from US president Barack Obama, for the development of the Apollo mission software.